†May reduce the risk of coronary heart disease. 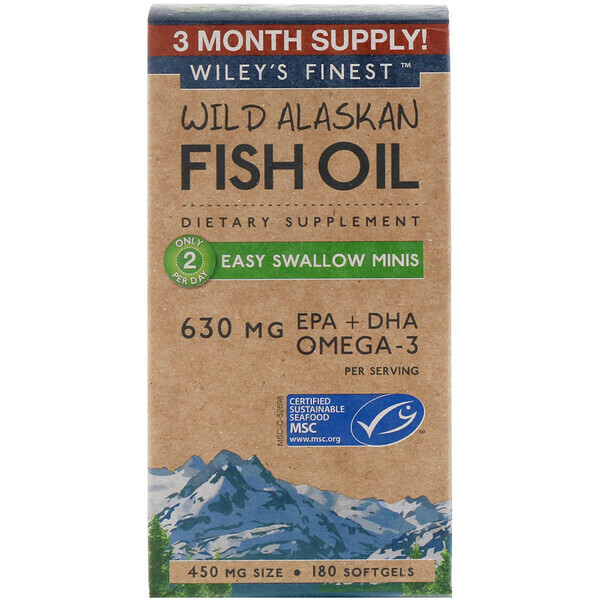 One serving of Easy Swallow Minis provides 630 milligrams of EPA and DHA omega-3 fatty acids. 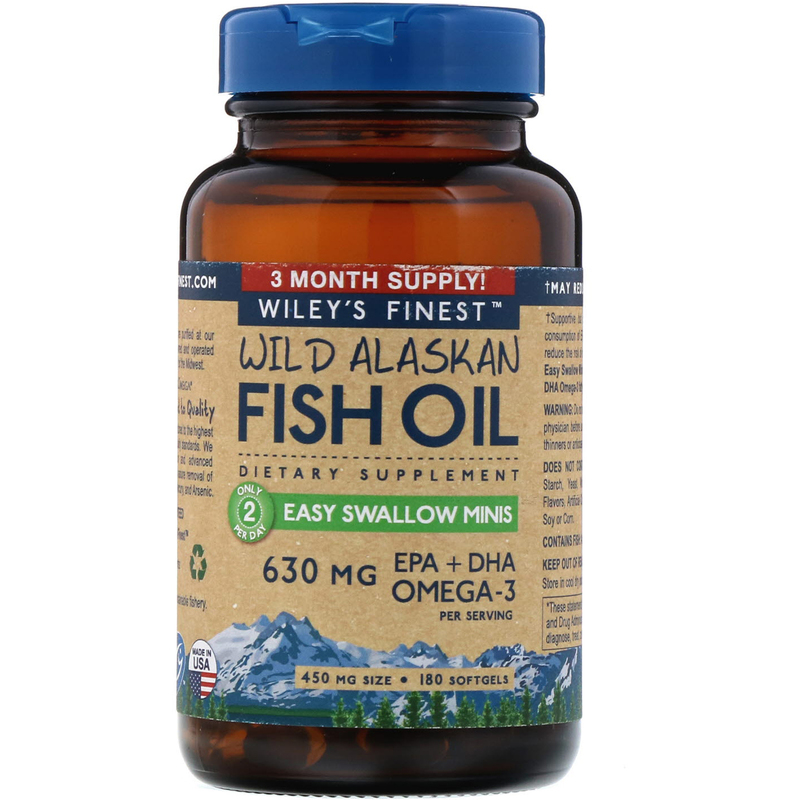 Our fresh fish oil is produced in Alaska from wild Pollock caught in US waters. We then purify and gently concentrate the oil up to 75% Omega-3 to make a mini softgel -55% smaller than regular strength fish oil, yet with 30% more Omega-3. Experts in manufacturing dietary supplement ingredients for over 25 years, the Wiley Family purifies fish oil at our state-of-the-art, family owned and operated facility located in the heart of the Midwest. 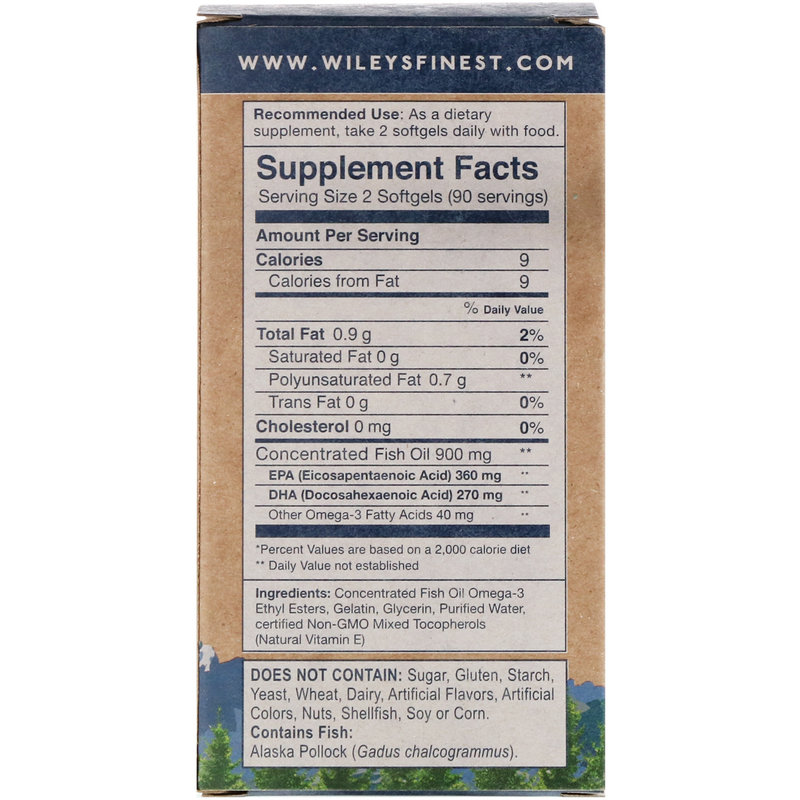 Our Fish Oils are manufactured to the highest U.S. and International quality standards. We use molecular distillation and advanced purification techniques to assure removal of PCSs, Lead, Cadmium, Mercury, and Arsenic. Concentrated fish oil omega-3 ethyl esters, gelatin, glycerin, purified water, certified non-GMO mixed tocopherols (natural vitamin E). Conservar el producto en un lugar fresco y seco.